building in order to enhance our understanding of processors and their architecture. implement the structure of the individual modules. 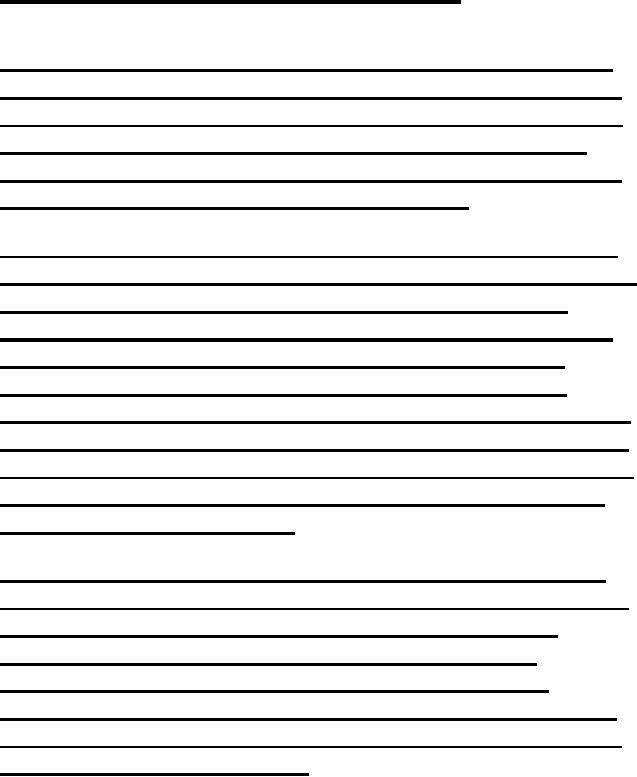 The RTL is a formal way of expressing the behavior and structure of a computer. including signal assignment statements and wait statements. We now use the RTL naming operator to name the various fields of the RTL instructions. restored after a procedure call or an interrupt so normal operation can continue. is in the running state. can be observed on many machines. resulting value in register ra. the field c1 (which is first sign extended), to the value specified by the register rb. 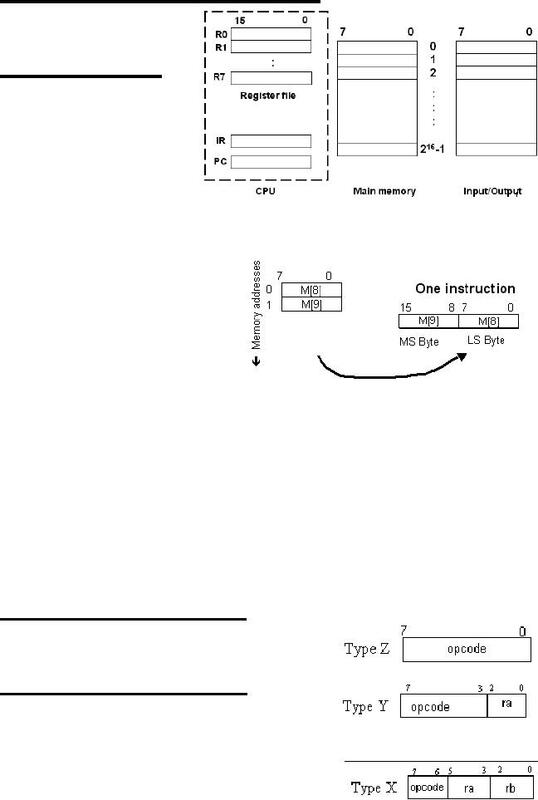 memory addresses that can be accessed. cycle of the FALCON-A processor. that ":=' is the naming operator, "!" implies a logical NOT, "&"
implies a logical AND, "←" represents a transfer operation, ";"
location from where the instruction is to be fetched. byte cells). The next step is the instruction execution phase. We again highlight the difference between the "," and ";". 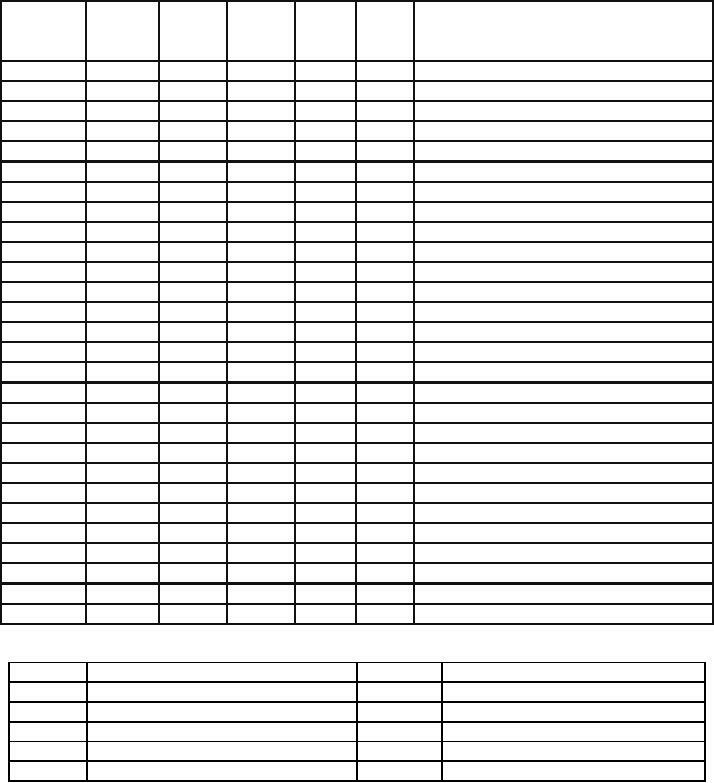 Statements separated by a ","
statements separated by "," does not matter. take several clocks to complete. Run bit. 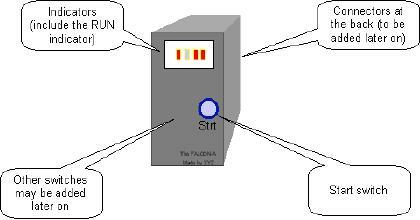 No action takes place when both `Run' and `Strt' are 0. `:' is a conditional operator; if the condition is met, the specified action is taken). 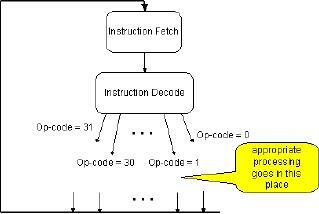 The instruction fetch-execute cycle is shown schematically in the above given figure. whether it is placed before the instructions shown, or after). If op-code is 20, the branch is taken unconditionally (the jump instruction). stored in the register ra. and the result is stored in register ra. value stored in rb. Result is stored in ra. concatenated with 0s, and stored in ra. The remainder is stored in R0. If op-code equals 8, bit-wise logical AND of rb and rc register contents is assigned to ra. 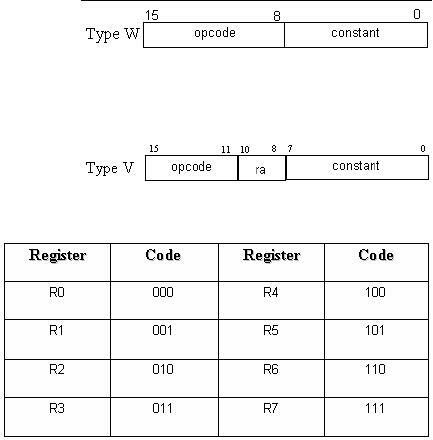 If op-code equals 8, bit-wise logical OR of rb and rc register contents is assigned to ra. taken), and the resulting value is stored in register ra. listed in the instruction execute phase in the RTL as shown. contents at the right side of the value. The result is stored in ra. For op-code 15, arithmetic shift right operation is carried out on the value stored in rb. Several of the instructions belong to the data transfer category. immediate field, and adding it to the value specified by register rb. another register through this instruction. op-code 7 is employed. The constant is first sign-extended. If the op-code is 31, setting the run bit to 0 halts the processor. cycle continues, unless the processor is halted. Note: For Assembler and Simulator Consult Appendix. in our understanding of the processor design process. register is 16-bits in length. · Little-endian byte storage is employed. means of the given figure. for the study of the EAGLE. memory contents. Hence M  means contents of memory location 8.
as the 16 bits at address x +1 and x. The following features characterize the EAGLE. instruction size is either 8-bits or 16-bits. · The instructions may have either one or two operands. 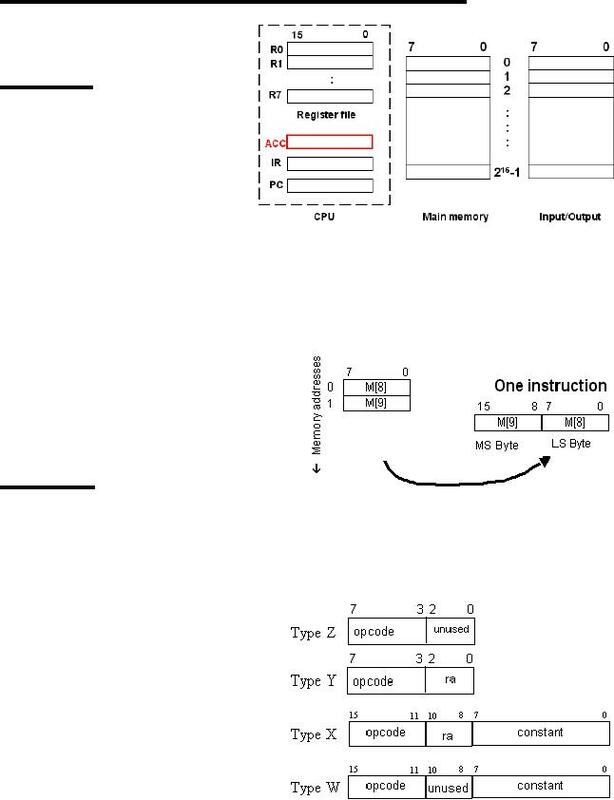 · The only way to access memory is through load and store instructions. with a 2-bit op-code field, and two 3-bit operand register fields, as shown. GPRs is shown in the table. categorized with respect to the instruction formats. of a single instruction. It is useful in pipelining. that machine operation begins at a known instruction. 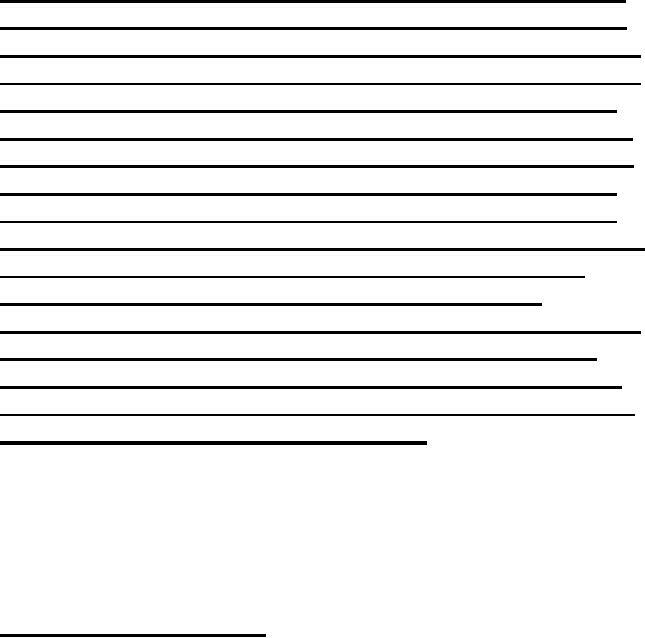 The contents of one register are copied to the destination register ra. The original 16-bit ISA of EAGLE has severe limitations, as outlined below. some unused op-codes available in the ISA. compiler needed for this ISA. remedied in the modified EAGLE processor. enough to illustrate the various concepts of a processor design. 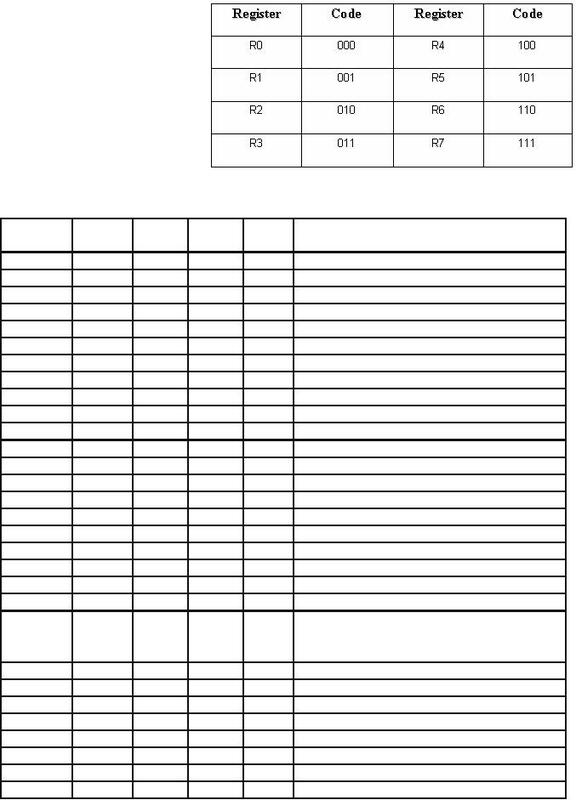 Counter (PC) and the Instruction Register (IR). contents; for instance, R  means contents of register R3. register is shown in the figure. instruction size is either half a word or 1 word.